In 2011, Nicole Bray thought she had found a treatment that might help her five-year-old son with his ADHD — a therapy dog. Her family adopted a boxer/mastiff mix named Gotti, and the two bonded immediately. He quickly became, Bray says, her son’s best friend. But despite Bray’s hopes, Gotti would only stay with the family for about two weeks. That’s because Bray lives in Florissant, which is one of many cities in Missouri with a total ban on pit bulls. Bray’s dog wasn’t even a pit bull. But someone had reported to Animal Control that he looked like one, and three Animal Control officers showed up at Bray’s home to to inform her that if she couldn’t find a new home for him in seven days, he would be seized by the city and euthanized. Bray says they were “complete bullies,” uninterested in her argument about Gotti’s lineage. “They said that I had the choice if I wanted to get a DNA test, but it would cost $500,” Bray says. She found a new home for the dog instead. Her son, she says, was heartbroken. While Bray’s dog drew the city’s attention after just two weeks, Mandi Kay Sullivan lived in Florissant for a year before authorities noticed her dog. Dexter is an American bulldog mix, also often considered a “pit bull type.” Sullivan, a former dog trainer whose husband is a veterinary technician, thought Florissant’s laws, like many other cities, merely required that her dog be licensed and microchipped. “I didn’t think anything of it, until one day we got the letter,” Sullivan says. Animal Control informed her that Dexter fell under the pit bull ban. He, too, was threatened with euthanasia. Rather than have him killed, Sullivan found a home for him with her 75-year-old grandmother. The city’s heavy-handed tactics still rankle her. Florissant’s ordinance has been in effect since 2010. 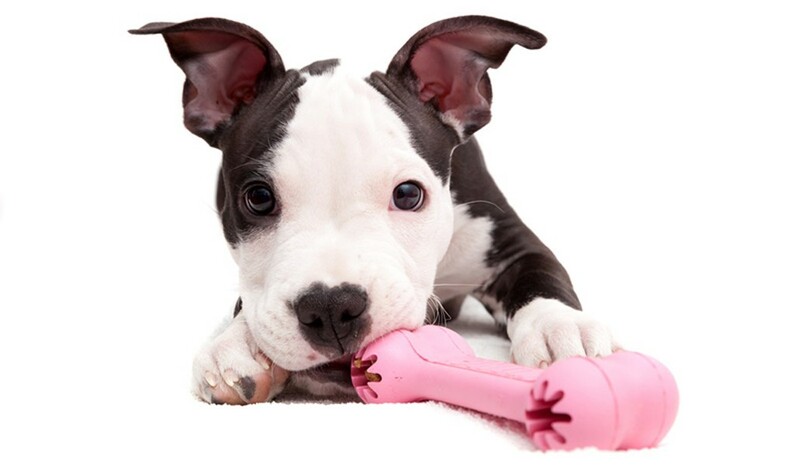 It formally applies to three breeds of dogs generally considered “pit bulls” — the American Staffordshire terrier, the Staffordshire bull terrier or the American pit bull terrier — as well as any mixed breed dog with any of the three as “an element of its breeding.” It also applies to any dog with “the appearance and characteristics” of a pit bull — and unless the owner pays for a DNA test, Florissant Animal Control generally relies on the opinion of whoever reports a dog as problematic. Not all of those owners who’ve found themselves on the city’s radar can find a new home for their dogs in a week. While Florissant recently started allowing shelters to pick up the dogs they confiscate, the city has euthanized 201 dogs since its ban went into law.